Fireside Magazine has been publishing short fiction since 2012. 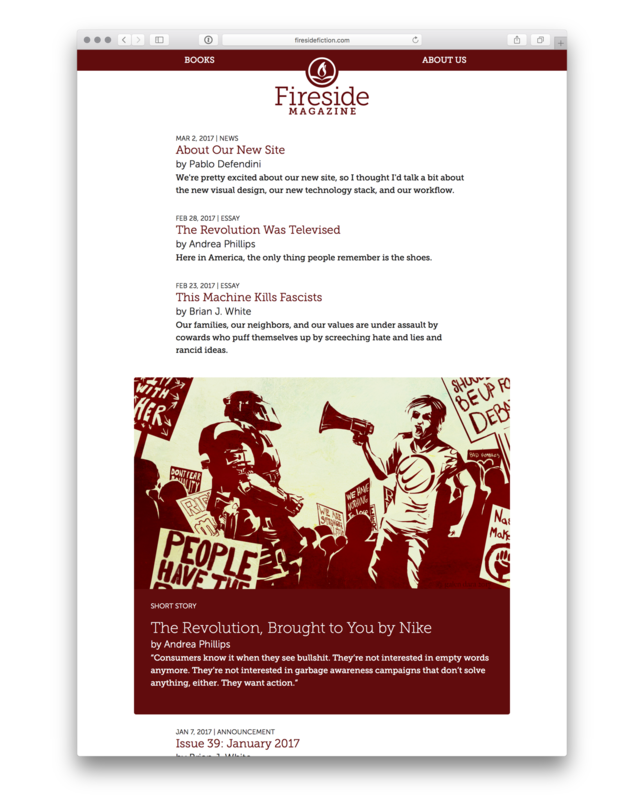 Fireside has two goals: to find and publish great stories regardless of genre, and to pay writers and artists well. The design of the magazine website is meant to be minimalist and simple. 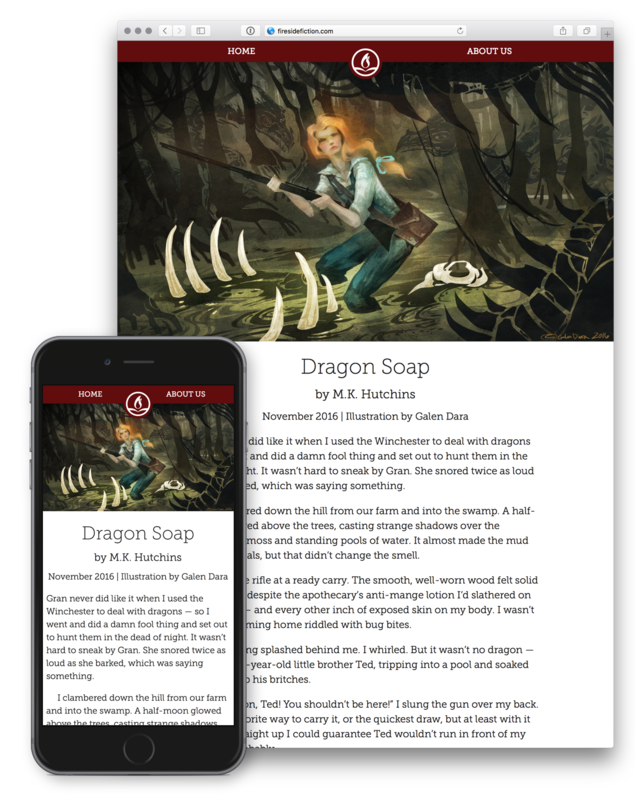 It focuses the reader’s attention entirely on the stories and artwork, and provides a clean and responsive reading interface. The magazine site is built on a static site generator, which simplifies the editorial production workflow significantly, and results in a site that loads lighting-fast.